The preparation for the cyclone was discussed at a meeting of the National Crisis Management Committee (NCMC), headed by Cabinet Secretary P K Sinha. 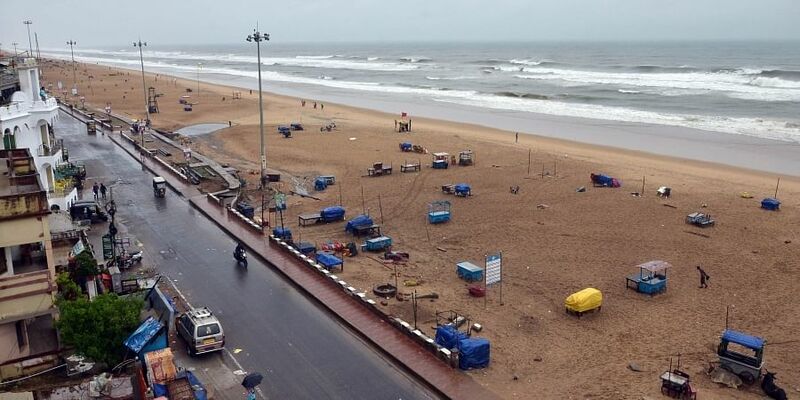 NEW DELHI: The Centre rushed nearly 1,000 NDRF personnel to Odisha, Andhra Pradesh and West Bengal Wednesday as Cyclone Titli made its way towards the coast, besides issuing directions for storage of food, fuel and maintaining power supply and telecommunication lines. The stock was also taken of preparatory measures in the wake of impending landfall of the cyclonic storm along the coast between Orissa and Andhra Pradesh. The National Disaster Response Force (NDRF) has deployed 14 teams in Orissa and four teams in Andhra Pradesh along with necessary rescue equipments, an official statement said. The Army, the Navy and the Coastguard have also been put on standby so that they can be deployed at short notice as per requirement. Additional NDRF teams have been put on standby in areas likely to be affected in Odisha and Andhra Pradesh. Three NDRF teams were also deployed in West Bengal. A team of NDRF comprises around 45 personnel. The three states have also deployed their own rescue teams along with power boats. The cabinet secretary underlined the need for storage of adequate food, fuel as well as maintaining power supply and telecommunication lines and suggested the states take advance action. He assured full support to the three states from the Centre, the statement said. The landfall of the severe cyclonic storm is likely to be between 6-9 am Thursday between Gopalpur (Odisha) and Kalingapatnam (Andhra Pradesh). The states informed the NCMC meeting about measures taken for evacuation of people from the vulnerable areas to safer places, issue of warnings to the fishermen not to venture out into the sea and stocking of adequate food, essential items and fuel supplies, besides preventive measures such as closure of schools and colleges. District and local officials have been alerted. The meeting was attended by the senior officers from the ministries of Home and Defence, the National Disaster Management Authority (NDMA), the NDRF, India Meteorological Department (IMD) and Integrated Defence Staff (IDS). Officials frim Odisha, Andhra Pradesh and West Bengal participated it through video conference. The Indian Meteorological Department classified Titli as a very severe cyclonic storm with very high wind speeds. The wind speed at the time of landfall is predicted in the range of 145-165 km per hour.